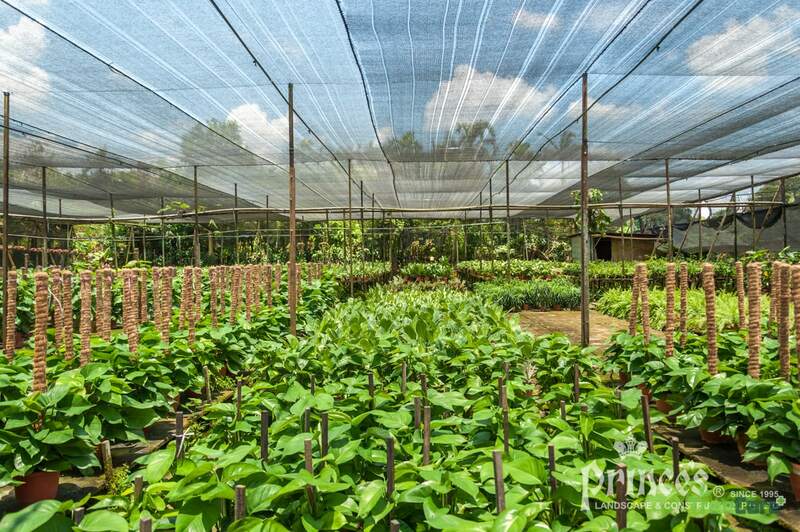 Welcome to Prince's Landcape & Construction PTE LTD.
One of the oldest nurseries in Singapore, Prince’s has 50 years experience in the industry. 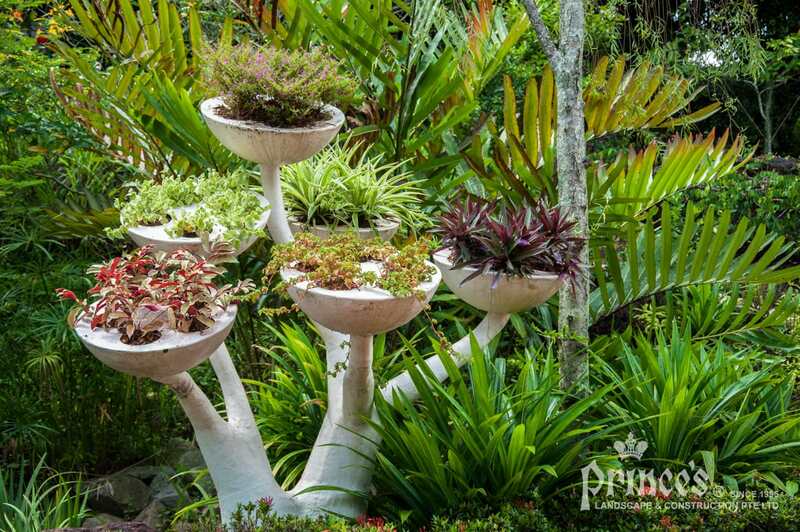 Started out humbly as a flower shop, Prince’s has evolved into a full-fledged landscape design and installation specialist. At the international front, our global connections ensure that Prince’s meets the needs of our customers. Strategic alliances with Europe, Australasia, and Asia have been a boon to our service-oriented culture. With success comes responsibilities. 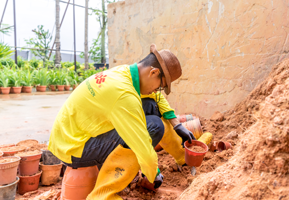 Our company believes firmly in CSR and we are a conscious participant in environmental conservation as well as an active institution for the disabled, reformed and older workforce. All members of our team of specialty with the expertise, skill and commitment it takes to complete each project feature. The quality of materials we use matches the quality of our workmanship. We feel invested in and committed to our work, and we understand that the work we do will have a powerful impact on the lives of our clients. Flower and Plant Company of choice by employees, customers, vendors, and contractors. 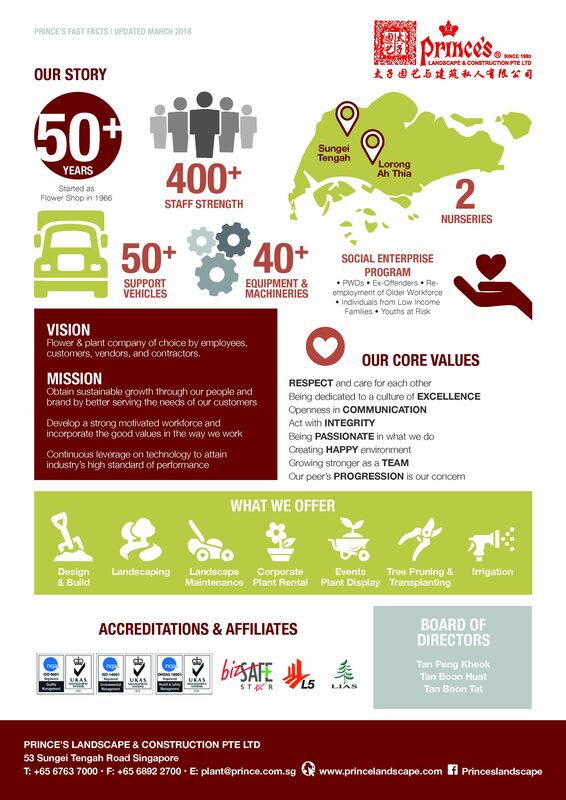 To obtain sustainable growth through our people and brand by better serving the needs of our customers. To continuously leverage on technology to attain a world-class standard of performance. To develop a strong, motivated workforce and incorporate good values in the way we work. We only honor commitments, but are known for meeting though deadlines while delivering nothing but the best. Since 1966, Prince’s has evolved around society’s environmental and social needs toward sustainable progress and development. We have continuously shown our commitment as good corporate citizens with our active participation in the conservation and preservation of nature and the community we dwell in. 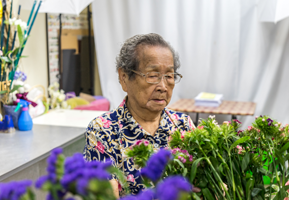 The Older workforce who are in their retirement age are given the opportunity to contribute to society’s growth, allowing them to work flexible hours. By giving job opportunities to ex-offenders, they are given the chance to create change and make a difference. They will be able to divert their efforts into improving their lives, thus reducing their likelihood of re-offending. 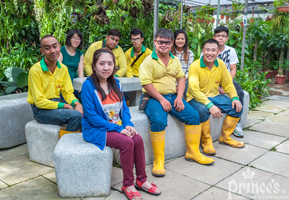 Prince’s has started its collaboration with several social enterprise organization (Delta Senior School, SG Enable, and The Society for the Physically Disabled [SPD]) etc. 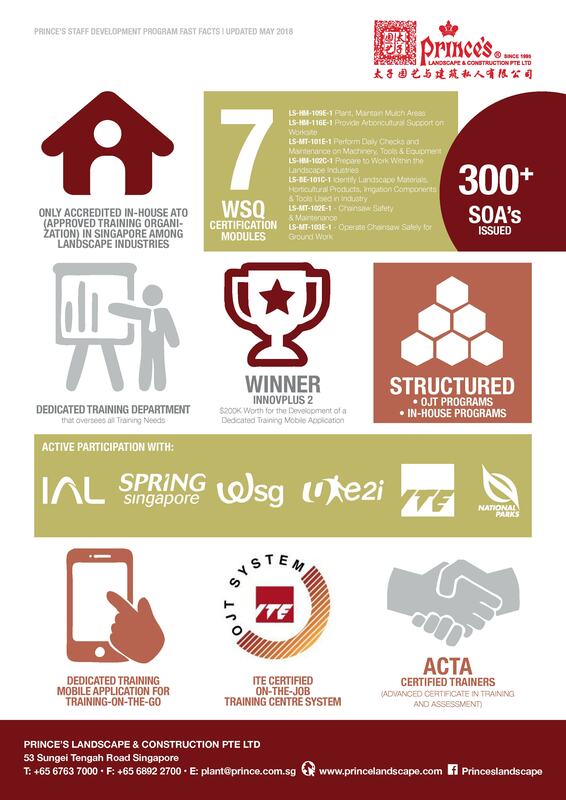 since 2007, where we have provided opportunities and upgrades in various aspects such as Horticultural and Administrative training. 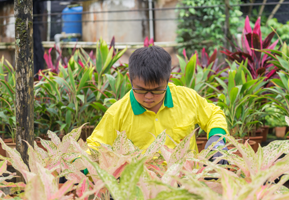 For instance, we have put up a Horticulture Training Program for students from Delta Senior School, took part in the Job Re-design Project wherein we continuously develop a program for Effective Strategies in Teaching PWDs, and created an active mentorship program where we provide Excellent Employee Awards to productive students. 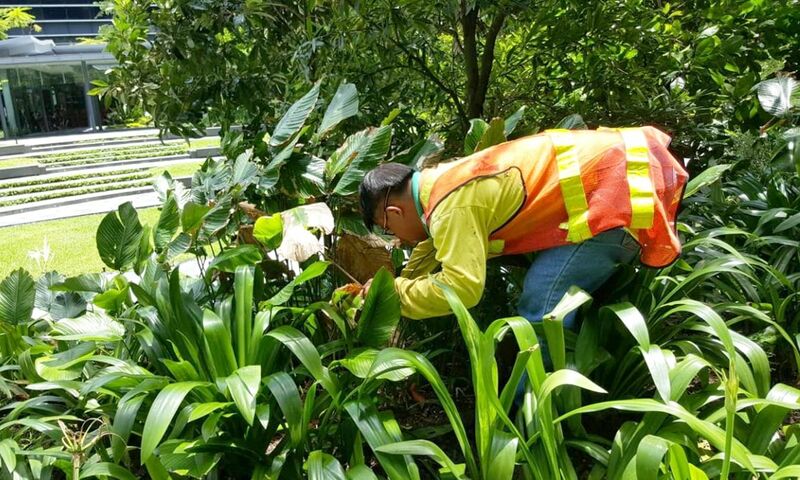 Besides proving training to PWDs, Prince’s have assessed the workplace and ensure that the place is safe for all PWDs before they are recruited for the role. At Prince’s we do not only utilize their capacity in the comfort of our nursery. We also integrate our PWDs in our project sites. It is proven that despite their limitations, they are fully capable of horticulture works such as watering, pruning, weeding, and other tasks. Given the right training and mentorship, our PWDs can help contribute to the progress of both the company and the industry as a whole. 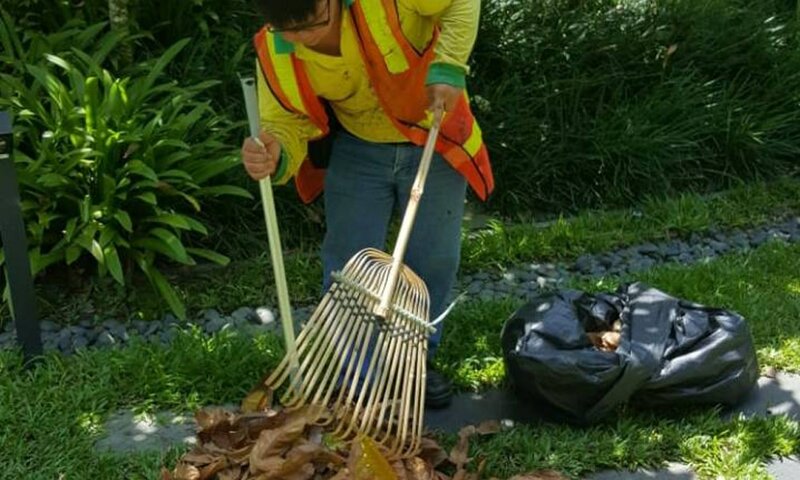 The strong support and participation of various organizations enabled us to recruit and assist PWDs to realize their full potential in the landscape industry. With this effort, we can assure that PWDs’ performance may be even matched up to normal workers. This is also a good avenue for them to serve and work with the public. • We welcome all applicants and treat each application equally. • We create a PWD-friendly environment. • We provide on-going training for all. • We provide equal career progression for all employees. Few of our PWDs who were deployed at different sites. Jayson was stationed at Tomlinson Heights, while Aaron is stationed at Mapletree Business City II. 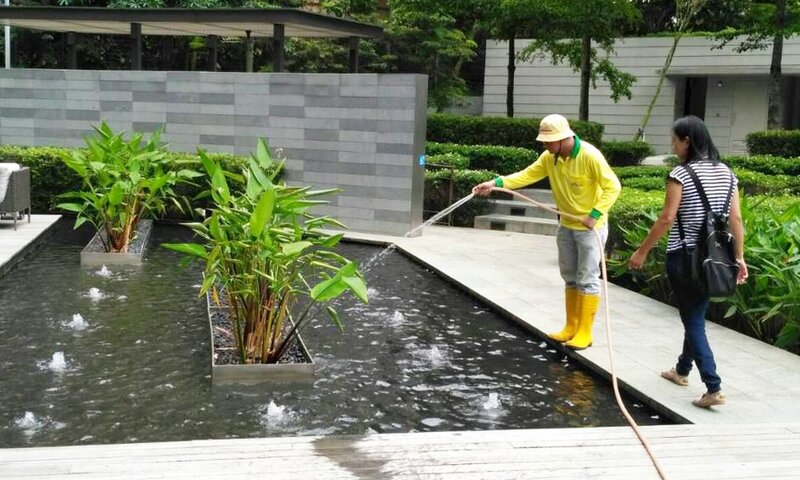 Both of them are doing regular landscape maintenance. The faith and support from our esteemed clients and the dependence of our industrious staff are the keys to our success. On behalf of CAG and my CEO, I would like to thank you as well as your staff and colleagues in Prince’s Landscape and Construction very much for the part you all played in helping Changi Airport to get this recognition from Skytrax. It is really thanks to the collective effort of the whole One Changi Family! Hey Jackie, thank you for the service you've provided for the Affordable Art Fair team this Spring fair. You were able to efficiently accommodate to all our enquiries and orders, despite the narrow time frame to work with. We appreciate all the hard work you've put into making our fair a wonderful experience for our visitors, partners and galleries. We look forward to working with you again for future fairs! I am highly impressed to acknowledge the extra effort of hard work and coordination on the floral arrangement of your team. They worked hard and performed their task outstandingly. I am confident that with such a dedicated team in your company, Prince’s Landscape will surely achieve great heights. Your hard work has not gone unnoticed. In all honesty, we have been privileged to have available personnel like you. We do not have the habit of handling out such appreciation letter. You are the first to have received such a letter from Management. That itself speak of how impressed we were with your service. 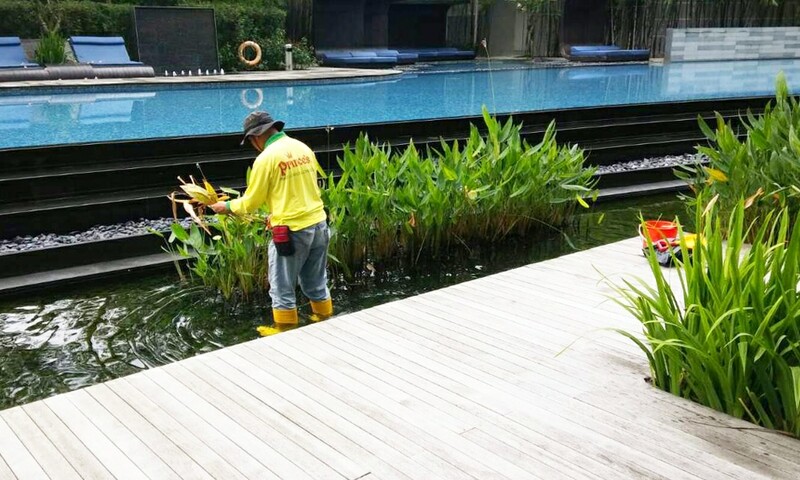 Testimonial to the supreme quality of the landscaping work, a CONQUAS score of 97.5 was achieved for the external work, of which the landscaping work is a constituent. This contributed significantly to Fernvale Foliage achieving the highest ever final CONQUAS score of 94.2 under the public housing category. PRINCE’S LIFE: First In-House Chainsaw Course, A Success!